It finally is the last week in June, and when I was growing up, that meant pack the suitcases and the car, fill the gas tank, and head for Santa Cruz. I do not have any memories of summer vacations spent anywhere else. 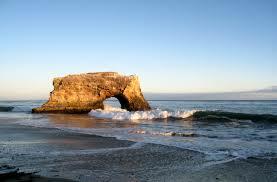 Santa Cruz was our go to place, and it never occurred to me there could be a better vacation spot on the planet. Today, I believe it takes around two hours to drive from my valley home to the seashore. In the 1950’s and 1960’s, it took us closer to three hours, sometimes even longer. That was because roads back then were not geared for such speedy cars as we have now, and our family made stops along the way that were as much a part of our vacation traditions as the actual arrival at the ocean. One stop we often made on our trip to the beach was at a place both beautiful and grotesque in the images it conjured up in a little girl’s imagination. 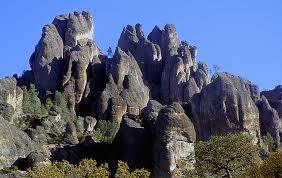 It was a magnificent place named Pinnacles National Monument, which in 2013 became Pinnacles National Park. There are few places quite as dramatic, geologically, as one which actually is the remains of half an extinct volcano. Rock formations, high walls, trees, water, bat filled caves, California Condors, and soaring falcons overhead; that place always made me feel as though we were visiting one of those lands before time. That was the beautiful part. The grotesque aspect: One of California’s infamous criminals and his gang supposedly hid out at the Pinnacles during Gold Rush days, and his demise was particularly gruesome. Actually, it was the aftermath of his death that I found to be the most disturbing. 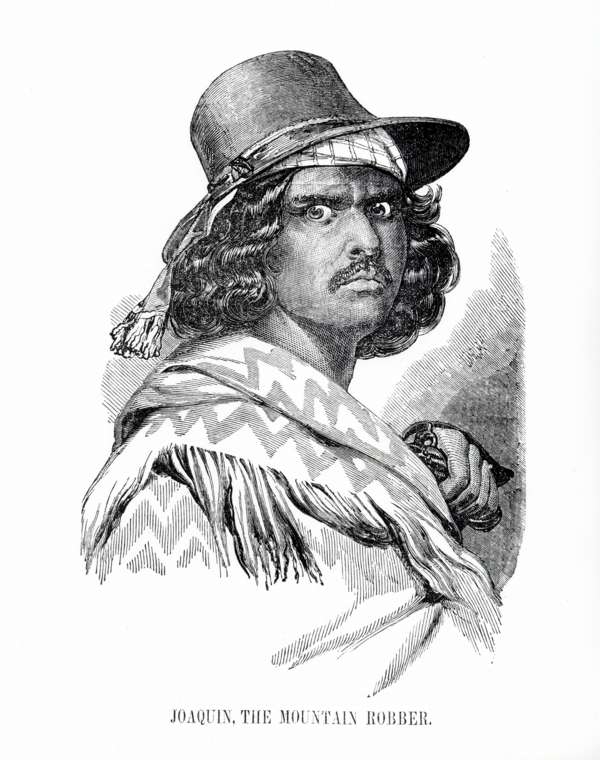 Joaquin Murietta and his band attacked settlers and wagon trains in California, robbed, stole horses, and reportedly killed at least 41 people. In 1853, John Bigler, Governor of California, signed an act creating the California State Rangers, a band of twenty veterans of the Mexican-American War, led by Harry Love, a former Texas Ranger; all hired to hunt down Murietta and his gang of murderers. They were paid $150.00 a month, and were promised a $1,000 reward when they captured the criminals. On July 25, 1853, Joaquin Murietta and his armed followers were confronted by Captain Love and his men at Arroyo de Cantua near Coalinga, California. Murietta and another man, Manuel Garcia, were killed; two other men were captured. 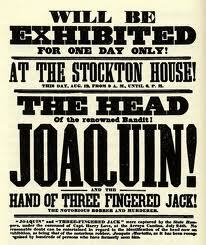 To prove they had killed the outlaws, so their reward could be claimed, the Rangers cut off Joaquin’s head, and the deformed hand of Manuel Garcia, who also was known as Three-Fingered Jack. They put the head and the hand in jars of alcohol to preserve them. Besides presenting the jars for payment, the Rangers took the head and hand on a road trip throughout California, and charged the public $1.00 to look at them. I am without a clue why I was told the story of Joaquin Murietta in such graphic detail at so young an age. And because I pictured things vividly in my mind, there was not a second spent at the Pinnacles that I did not think of that man, his murderous gang, and the dreadful treatment of their dismembered parts after they were killed. Something always gave me the shivers being there, and I never felt joy when we visited. So, even though it was a spectacular place, after our picnic was done, I definitely was eager and happy to be back in the safety of our car, on the road again, headed to the beach. Nothing as a child, nor now as an adult, ever has had the profound effect on me as the ocean. It has been, and seems today, as necessary to me as the air I breath. As I have thought back on the days of our family vacations at the beach, and how innocently we played in the surf and sand, were kissed by the sun, cooled by a sea breeze, and lulled to sleep each night with the rhythm of waves crashing on the shore; I have wished for all children to feel such connection to their land, to those they love, and to their sense of purpose. As a child contemplating the ocean, I believed, more than just about anything else, it had defined and obvious purpose. Everything from that which lived below its surface to the waves and tides; it all was so purposeful. 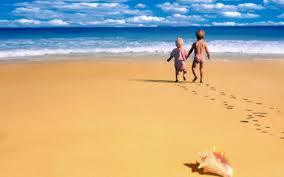 Now, grown up and really far down the road in this life journey, I remember those children on vacation in Santa Cruz, and how easy it was to be part of that salty, sandy, gloriously determined and uncomplicated ocean world. And because I am an optimist, I dare to dream that if children, today, could understand their lives, just like the sea, have purpose, rhythm, and a destiny filled with possibility; maybe grasping those truths could prevent them from joining a long list of modern-day Joaquin Muriettas, and Three-Fingered Jacks. Maybe we would never again have to witness the waste of another young life. Just maybe the dream could come true. It is great to return to special places. We have one over here called Lake Lure, where my wife will say, “I want to go to Lake Lure.” The scenery you showed is beautiful. Isn’t it interesting how you can remember such vivid tales of the demise of the criminal gang and its leader. Real stories are always scarier than ghost stories, especially to a young person. Thanks for sharing. Thank you! So glad you liked my post. Thanks for sharing that story about Joaquin Murietta. I’d never heard of him or of that story before, so it was interesting to read about it and you told it very well. Thank you! He was a scary character. Even so, a head in a jar is creepy to a kid! Creepy to an adult, as well.